I spent my Lone Pine day at LoveNote’s place. She has a laptop, so I was able to see the blog on a computer for the first time in 3wks and tend to a lot of things I’d let slide since leaving for the Sierra High Route. Just the usual with mostly blog and correspondence. I didn’t get to watch shows with all there was to do, but may get an episode in later tonight! Up and at ’em early tomorrow to start the High Sierra Trail. Why Not and Rockin’ stayed at a hotel in town and we will all be back at it again early tomorrow to start the High Sierra Trail hiking about 70mi (about 4 days) from east to west across the Sierra. Check out the “Where’s Wired” tab for a detailed map of the route. Excited to get a change of pace and hike on some trail before we head over to the Wind River High Route! 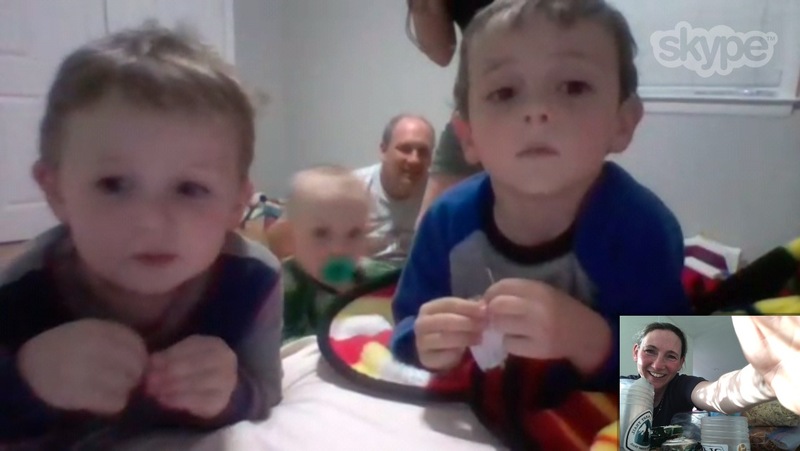 Skyping with my nephews and showing them my resupply. 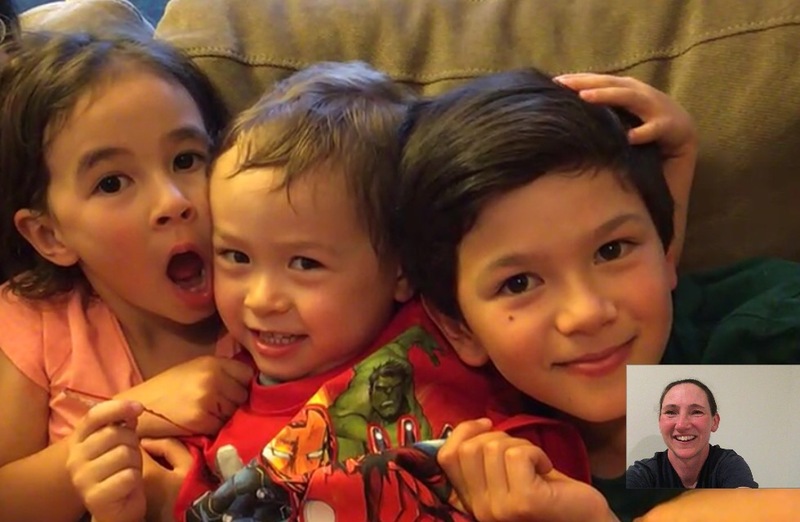 FaceTime with the family I nanny. Glad you can keep the adventure going! Nice to have the interlude to touch base with family and friends too. Thank you so much for documenting your SHR journey. As one that also gets shaky knees when I’m up too high, I applaud your perseverance. You were looking pretty much at home even toward the midsection. It was an interesting transition that happened on the second leg. I went from the shaky legs and hesitant steps to just getting used to it and seeing it as just different terrain…except when exposure is involved. Not a fan of that still! One down and more to go. Loved following you on this last very taxing adventure. You are amazing and glad you had company this time around. Gotta love the little ones. 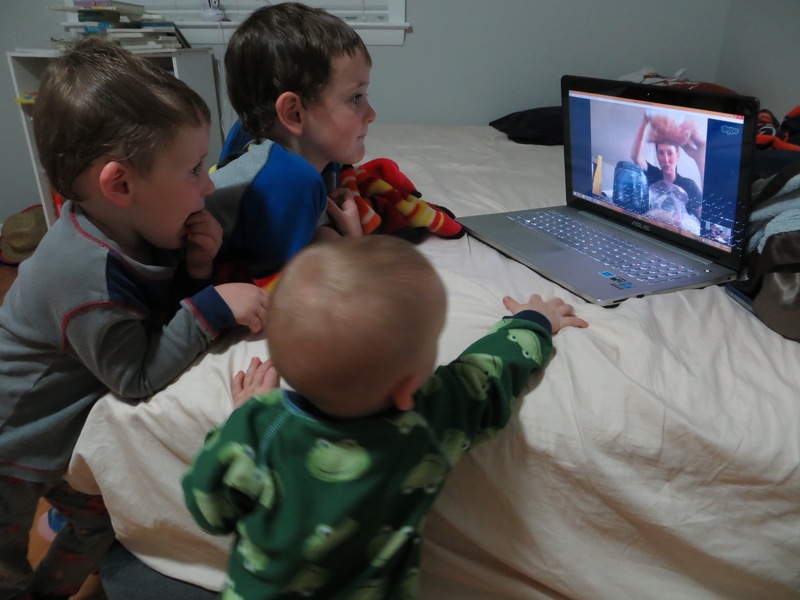 My sister used the search bar on the new blog to type in “nephew” and she got to see all the old photos of them skyping with me over the years, aww! I was so cool following this trip. Can’t wait for the next adventure. Congrads to all three of you! I did not see you mention any signs of wildlife? In your resupply photo it looks like you have a bear canister? Did you need it? Good question and you reminded me to answer that in my recent post. We only saw a ton of deer, lizards, and marmots mainly, but on the HST we saw a loon, rattlesnake, and a bear (on the last day!). Yes, we were carrying those dang bear canisters and apparently we needed to be. Love all the kidlets and baby Juniper is delicious! Looking forward to the next adventure, and love that it starts right away. This is a tiny thing, but I think there must be a setting that allows the blog page to allow a user of a touch screen device to zoom in.. make the text larger and see even more details of the amazing pictures. I think your former format supported this and WordPress does.. Nancy and Rockin’ would know since this is doable on their blogs. Not a huge deal and just something to enhance the experience. I am using a tablet with 8.9″ display, but I imagine it would help those reading on phones..
That is one of the reasons I moved to this format actually. I know on my computer and phone, I’m able to click on photos to see them full screen. As for the text size, on the computers, I know you can increase the size, but not sure about tablets. I hope you’re able to click on them! I do agree that it would be nice just to touch to zoom in as well, which I can do on my mac. I am able to read, but for your blog can’t expand the post or pictures like I can on other blogs, but that is mainly cosmetic. I do like expanding the great photos to see details, like a tiny hiker in the distance. If you double tap the photo, it will open larger on a new tab and then you should be able to expand it from there. I do love that feature! Oops, answered that one earlier. Thanks Ray from Oregon – I’ve been meaning to ask about wildlife too – just remember the Fossil colored lizard. And did you ever meet up with “Kevin?” Love seeing all the kids. 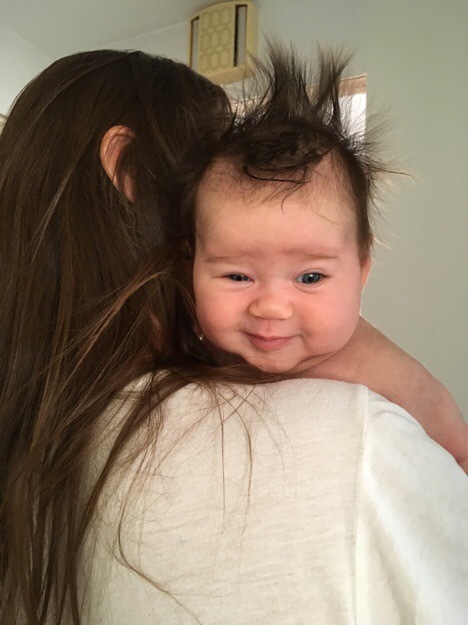 Juniper is a great name – and that hair! Also glad the scary stuff is feeling a little less daunting. Yep, I followed up on Ray’s comment with my animal answer and also just put a paragraph on that in the most recent post. I should have mentioned the animals more, but it was mainly deer and marmots and none of us seemed to take photos of those common ones we feel like we see all the time. No sign of Kevin after the second leg and it also seemed that Ulrich’s prints disappeared at the second town, so we aren’t sure if anyone was in front of us as we saw absolutely no evidence of that. We know many will be doing this route in August as that’s the more common time.